ELIJAH and Rossini's PETITE MESSE SOLENNELLE with the Westchester Chorale, MADDALENA in Rigoletto with Gateway Classical Music Society, the SORCERESS in Dido and Aeneas,with the Sound Shore Chorale, and an operatic concert at Carnegie's Weil Recital Hall. Desribed for her portrayal, as "an operatic force to reckon with," Ms. Girardi sang her first complete role of AMNERIS in Aida at Central Park under the baton of Maestro Vincent LaSelva. She made her debut with Taconic Opera as MRS. NOLAN in The Medium, and returned to sing THE MONITOR in Suor Angelica which was televised on Italain Television. Future engagements with the company include the role of PREZIOSILLA in La Forza del Destino. Other recent appearances include an operatic highlights concert with the Gateway Classical Music Society's orchestra featuring scences from Norma and La Favorita,and a solo recital including selections which mark the world premiere of composer Denny Lin's opera PROJECT ESTHER. Born in New Rochelle, New York, the mezzo-soprano earned her Bachelor of Arts from Iona College. She has toured as the MOTHER and GRANDMOTHER in Barab's Little Red Riding Hood with Mobile Opera. At the Ash Lawn-Highland Summer Festival in VA, she sang the role of MRS. OTT in Floyd's SUSANNAH, where she also covered MARCELLINA in The Marriage of Figaro. Other roles performed include PRINCE ORLOFSKY in Die Fledermaus, MOTHER MARIE, in Dialogue of the Carmelites, MRS. NOLAN in The Medium, ZITA in Gianni Schicci, FRUGOLA in Il Tabarro, LA ZIA PRINCIPESSA in Suor Angelica, and ANTONIA'S MOTHER in Les Contes d'Hoffman. In oratorio, she has been the soloist in Handel's MESSIAH with the Bronx Chorale Society. 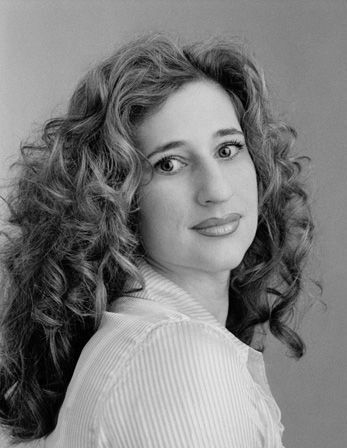 She served as the Alto Soloist in Verdi's REQUIEM with the New York Chorale Society, and the Sound Shore Chorale (NY), where she also sang Bach's Magnificat, and Brahms' Zwei Gesange for their 25th anniversary season. She returned as their featured soloist to sing Rataplan from La Forza Del Destino, and scene 1 from Orfeo. She has also performed Dvorak's STABAT MATER with the Connecticut Master Chorale, and the Choristers of Upper Dublin in PA, where she also sang Mozart's REGINA COELI, SOLEMN VESPERS, and Beethoven's MISSA SOLEMNIS, Haydn's HARMONIEMESSE, Mozart's ALMA-DEI-CREATORIS, Handel's UTRECHT JUBILATE, and CHANDOS ANTHEM #11, Mozart's REQUIEM, and Bach's ST. MATTHEW'S PASSION. In concert, Ms. Girardi premiered songs by modern composers for the American Composer's Society at Lincoln Center, and selections of Kirk Mechem's opera JOHN BROWN for the National Opera Association in Boston. She currently studies with Armen Boyajian, and has won numerous competitions, including the MacAllister Foundation Awards, Queen's Opera Competition, Young Patronesses of Opera/Florida Grand Competition, and first place national winner of the Bel Canto Opera Seminar. After her above triumphs as a mezzo-soprano, Miss Girardi is pleased and excited to announce her transition to soprano. She looks forward to singing the leading ladies of the soprano fach. In 2016, she makes her company debut with New Jersey State Opera, where she will sing excerpts of IL TROVATORE, LA TRAVIATA,and DON GIOVANNI. Arias will include, "In questa reggia," TURANDOT, and "Poveri fiori," ADRIANA LECOUVREUR.